Before we get into what today's $1 billion acquisition means for the Alibaba stock price, here's some details about the potential packed deal. The transaction opens up a whole new growth area for Alibaba. The Alibaba stock price has rallied 12% in the last month, and we see BABA stock climbing even higher from here in 2016. The Alibaba stock price is up 12.5% in the last month, while the Dow Jones and S&P 500 are up just 3.9% and 3.4% in the same time, respectively. Yes, the Alibaba Group Holding Ltd (NYSE: BABA) stock price is still down 16.6% year to date, but the company has just received a new $4 billion catalyst that should drive BABA stock higher in 2016. Alibaba stock was volatile this morning (Thursday) after the company reported quarterly earnings. Shares jumped more than 4% at the open, but were quickly down 2.5% in morning trading. That volatility is typical of Alibaba stock, and it underscores the investing strategy we've been recommending for Alibaba Group Holding Ltd. (NYSE: BABA) since the 2014 IPO. The BABA stock price is down 12.99% in 2016, and investors continue to panic because of the volatile Chinese stock market. But Wall Street is only focusing on the issues with China and are once again forgetting to look at the bigger picture. It was a volatile year to be a BABA shareholder, but our Alibaba stock forecast for 2016 shows that there will be significant revenue growth for the company. Chairman Jack Ma's acquisitions are going to add billions of dollars of revenue to the company, but he is far from finished from growing Alibaba's bottom line. The Alibaba stock price opened at $82.30 today (Wednesday) after the company reported record sales on the world's biggest shopping day, Singles' Day. 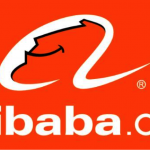 Alibaba Group Holding Ltd. (NYSE: BABA) stock is now up 37.2% since the start of October. Alibaba acquired Chinese video service Youku Tudou for $3.6 billion. As a result, the Alibaba stock price is up because of the acquisition offer. The Alibaba stock price soared as much as 10.6% today (Tuesday) to an intraday high of $84.45 after a top- and bottom-line beat on quarterly earnings. For fiscal Q2 2016, Alibaba Group Holding Ltd. (NYSE: BABA) reported earnings per share (EPS) of $0.57 on revenue of $3.5 billion. 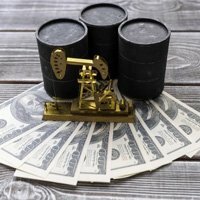 Consensus estimates called for EPS of $0.54 on $3.35 billion in revenue. Alibaba Group Holding Ltd. (NYSE: BABA) stock had fallen more than 43% in 2015 through September, but the stock has rebounded more than 25% in the last month. The Alibaba stock price was up as much as 2.6% this morning after Alibaba Group Holding Ltd. (NYSE: BABA) officials announced a $3.6 billion offer for the Chinese video streaming site Youku Tudou Inc. (NYSE: YOKU). The Alibaba stock price is now up nearly 22% in October.